Derby County prepare to lock horns with Queens Park Rangers in the 19:45 Kick off at Ipro Stadium later tonight, with a live stream available on the game tonight. Derby County would be looking to bag another three points when they take on QPR. The hosts are currently 5th in the Championship with 27 points on the table after 14 games. However, after getting a good start to the season, Derby County has slipped off somewhere are entering this game on the back of a poor run of form. Their home form against QPR has been terrible this season and they are coming in this game with just one victory in their last eight league games against their Tuesday opponents. 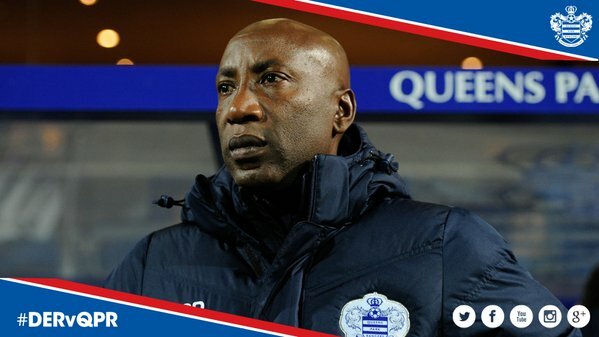 The last times these two teams met was back in May 2014 in the play-off finals, which QPR had won 1-0. Bobby Zamora scored the only goal of that match. Derby Country would be expecting to get all three points against a side that has failed to perform on a consistent level this season. Derby Country would be looking to win this game by once again relying on their passing. They have 80 percent passing accuracy in the Championship this season as compared to QPR’s 68 percent. The visitors would be looking towards Charlie Austin for inspiration, who has scored four goals in just two league games against Derby County in the past. QPR are however without Clint Hill (knee) and Sandro (ankle) but Charlie Austin should start the game after coming off the bench for QPR last week against Brentford.